House price expectations are slowly recovering despite continuing uncertainty around the housing market, according to ASB’s latest housing confidence survey. 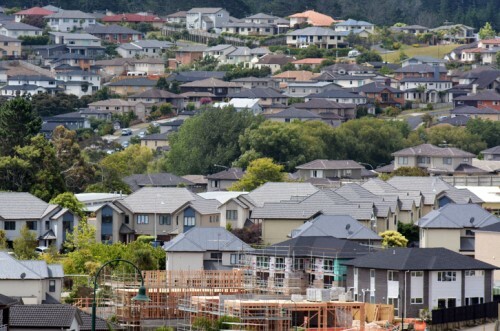 The survey, which gathers public opinion from across New Zealand, showed that house price expectations rose for the second quarter in a row, though most respondents still think now is a bad time to buy a house. Statistics showed that 48% of overall respondents expected higher prices compared to 46% last quarter, while 10% expected prices to fall. 26% expected no change in prices. All regions broadly registered higher price expectations, however Auckland gathered the least optimism – seemingly justified, as Auckland was also the only region in New Zealand to register a year-on-year price decrease this July. The majority of respondents continue to expect interest rates to rise, though the net balance remains below recent highs. 37% expect higher interest rates compared to 38% last quarter, with only 4% expecting rates to drop (6% last quarter). When it comes to sentiment, 19% think it is a bad time to buy while 58% remain on the fence. Canterbury remains the only optimistic region with a net balance of +9%, the highest since the devastation of the 2011 earthquakes. According to ASB chief economist Nick Tuffley, continuing uncertainty around government policies is one of the main factors affecting public confidence, though the latest survey has shown Kiwis slowly inching towards a more optimistic outlook. “The indecision and uncertainty created by the election has affected confidence to a fair degree, but now we’re seeing price expectations recover some of the ground that was lost last year,” Tuffley told NZ Adviser.